Despite being a member of the Royal Institute of Painters in Water Colours and of the British Society of Poster Designers, Kenneth Denton Shoesmith (1890 - 1939) is little known today, yet his maritime art perfectly captures the romance and adventure of ocean liner travel in the early 20th century. 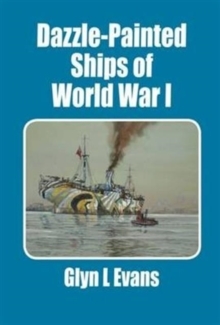 In 1918 he left a career at sea to devote himself to painting, and much of his art celebrates the ships of the Royal Mail Line, for whom he produced a vast amount of paintings and sketches for advertising purposes, but perhaps the pinnacle of his career was working on the interiors of Queen Mary. 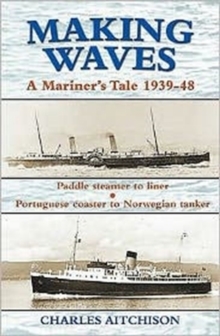 Shoesmith died at the early age of 48 just before the outbreak of war in 1939. An obituarist wrote: 'As a poster artist - he was quite definitely in the front rank of those who are content to paint what they see and know. He was direct in his methods, sound in his drawing and brilliant in his colour. His ships were not only correct in detail but they were always in and not on the water, for he painted with a seaman's knowledge as well as an artist's perception.' Glyn Evans has spent many years researching this elusive artist and rediscovering his works to share with a wider public. 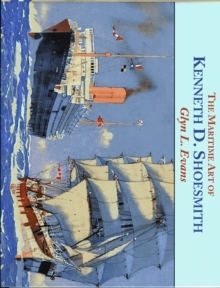 The selection of works included here are a fond tribute to Shoesmith's talent, and an expression of the author's personal delight in having discovered a maritime artist so gifted in the skill of bringing ships to life and imbuing them with such character as to make one wish to rush out and book passage on the next available sailing!